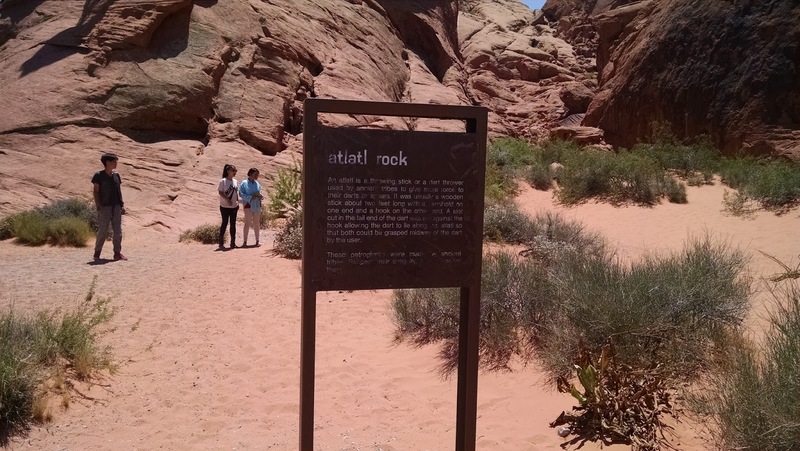 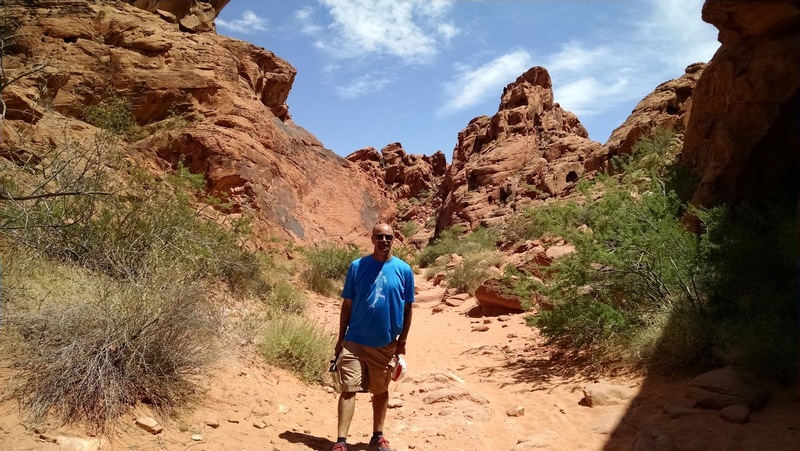 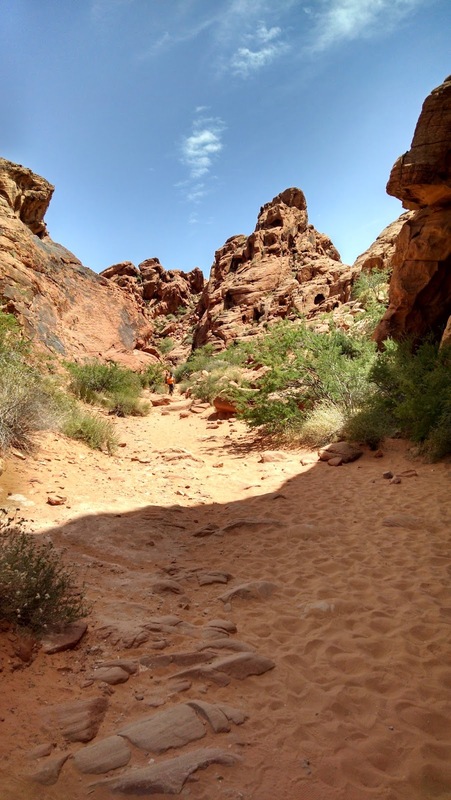 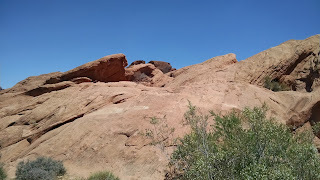 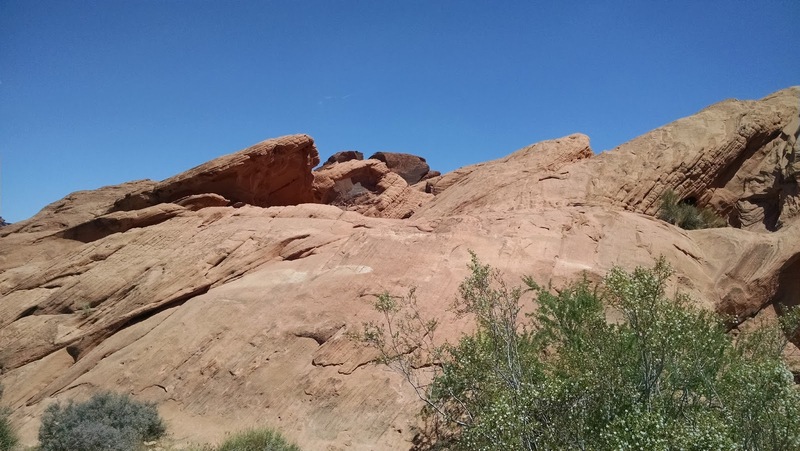 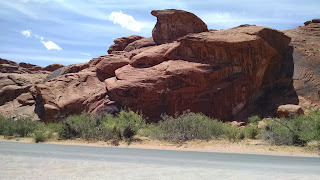 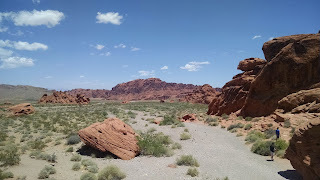 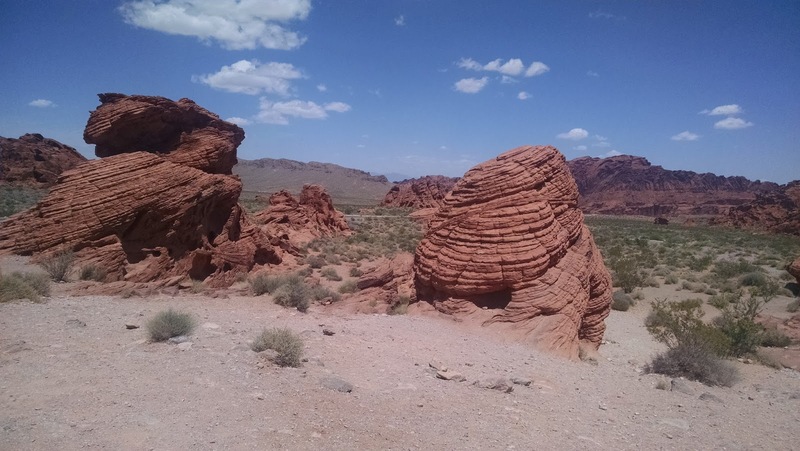 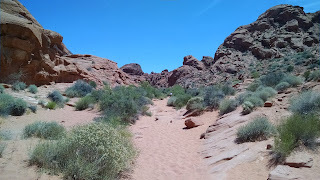 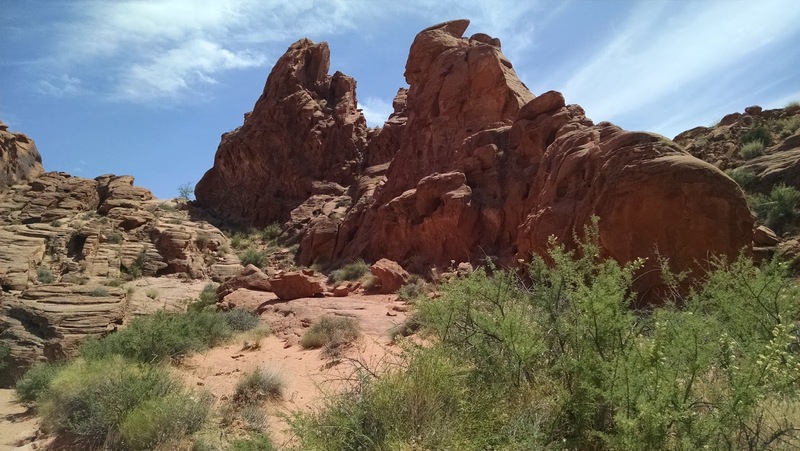 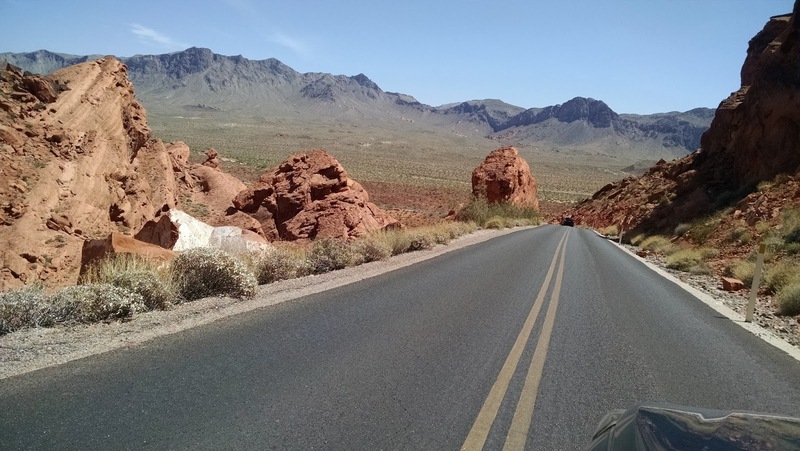 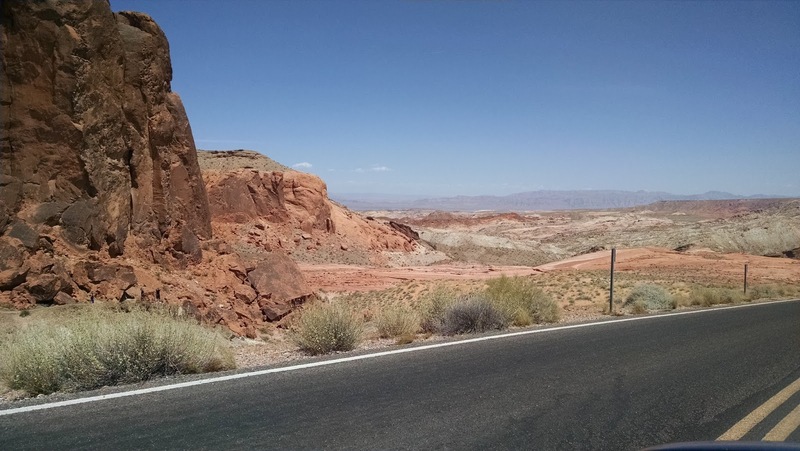 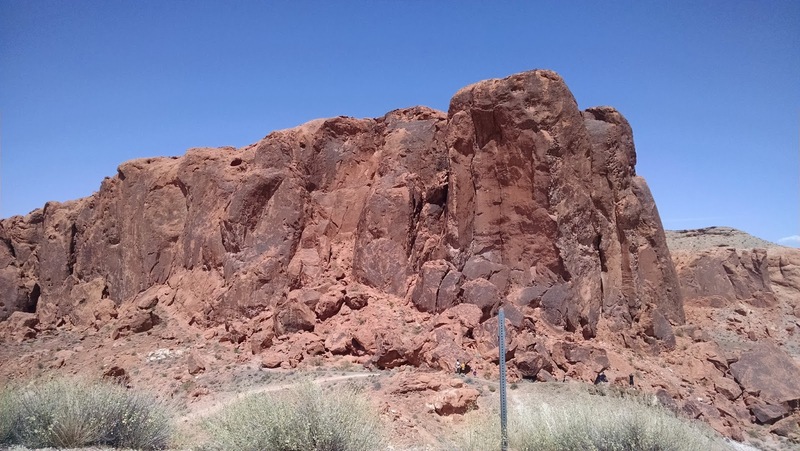 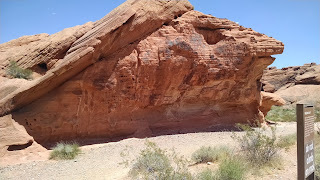 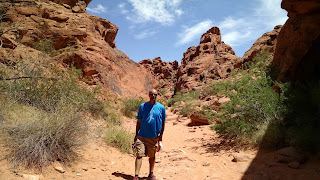 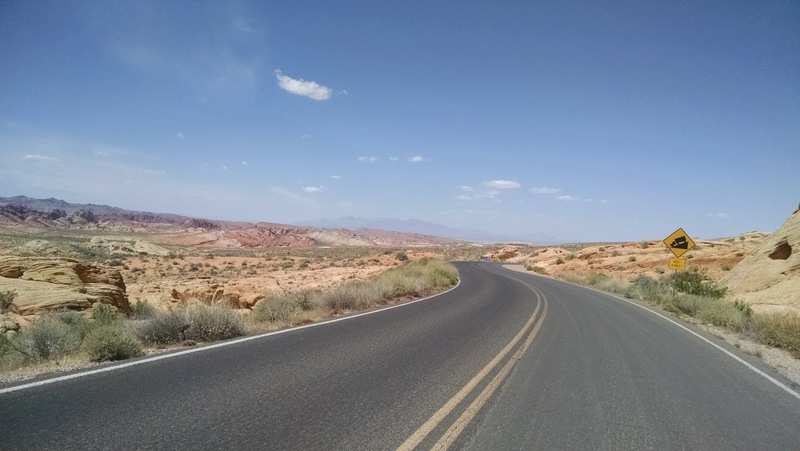 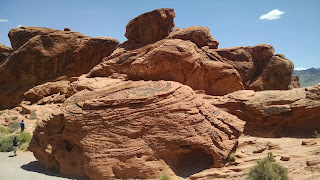 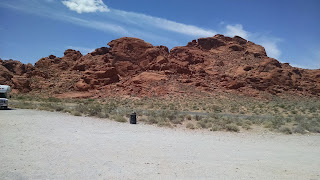 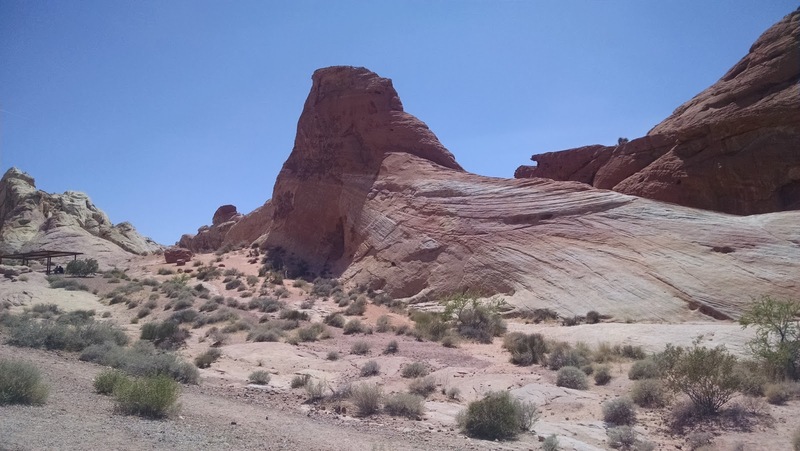 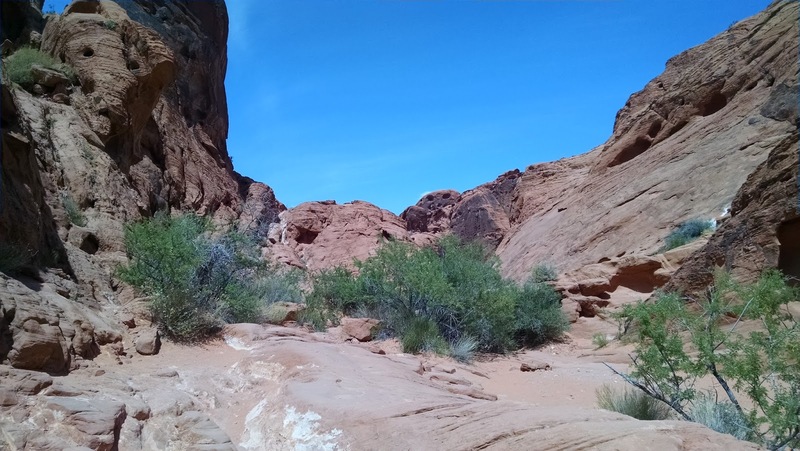 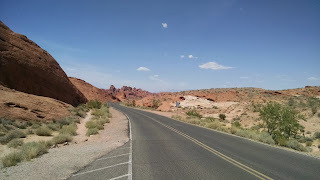 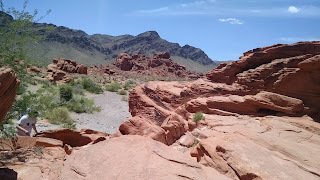 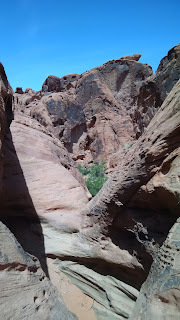 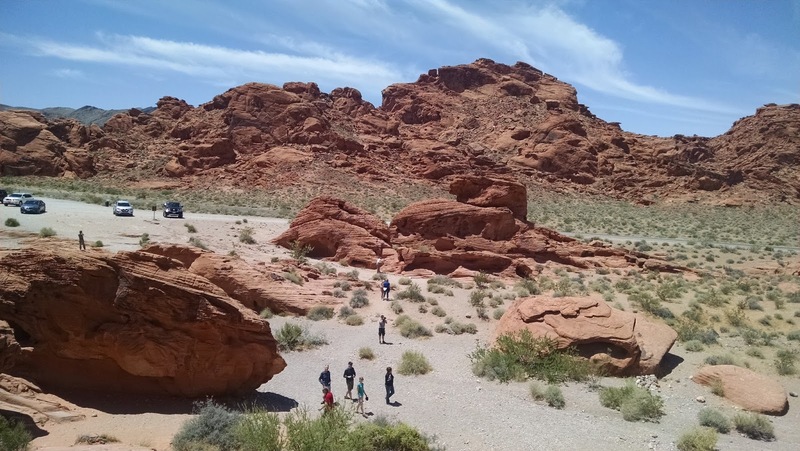 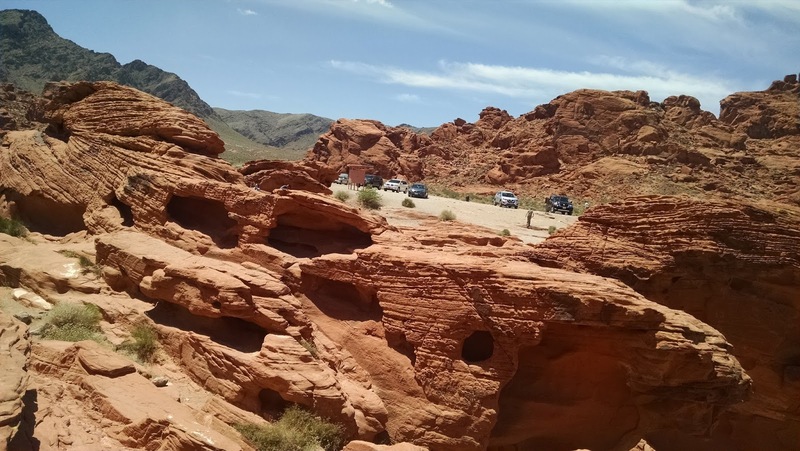 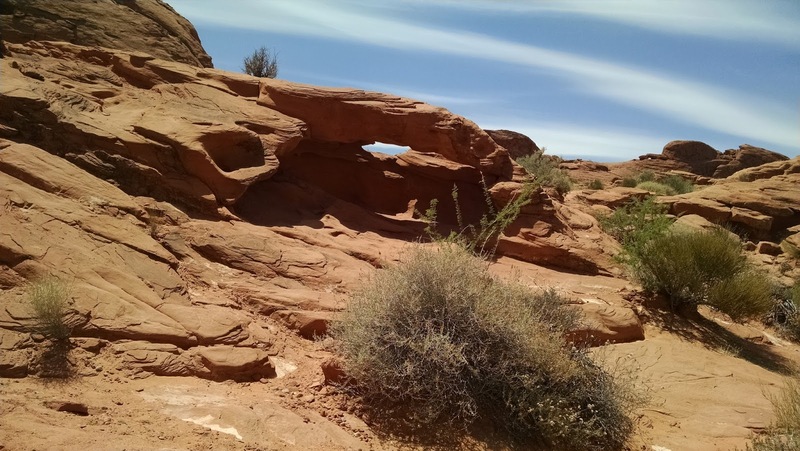 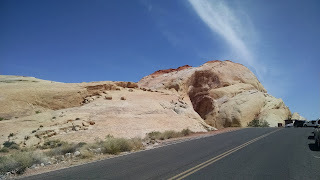 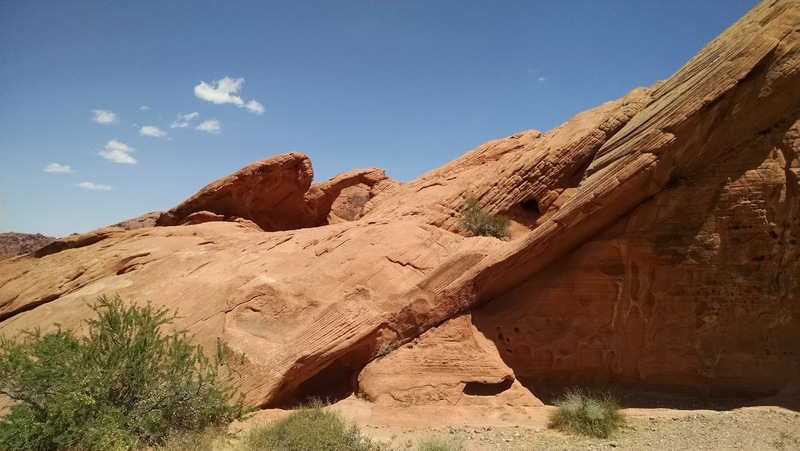 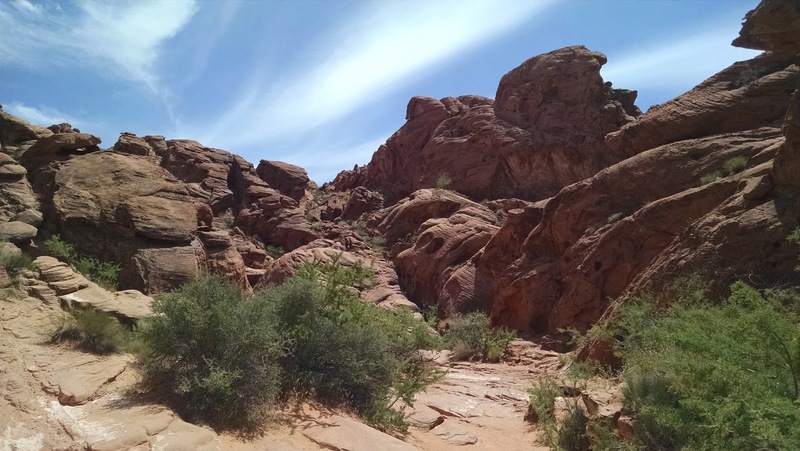 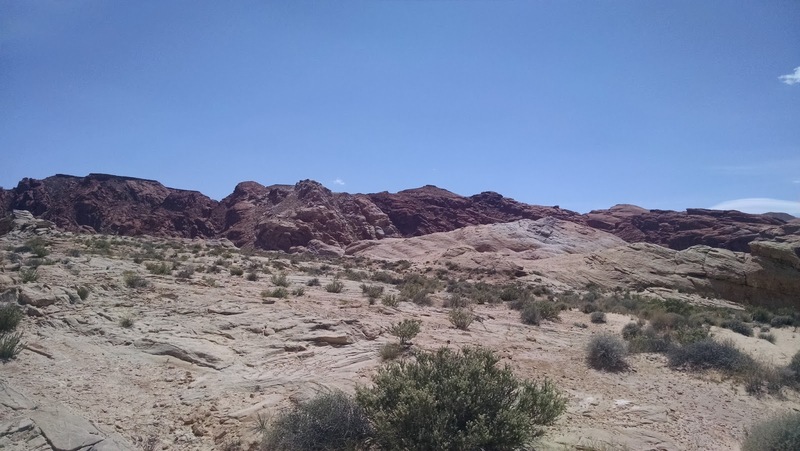 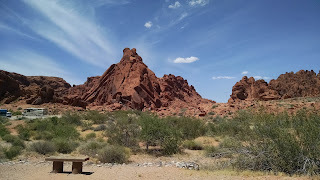 In 2014, I visited the Valley of Fire, a Nevada State Park located about 30 minutes north of Las Vegas. Since visiting, I've wanted to return. 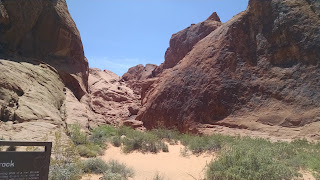 There were a few areas that I had missed or hadn't had time to explore. This time, while traveling from Las Vegas to Mesquite, I had some extra time as to take in the areas. 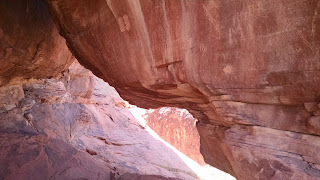 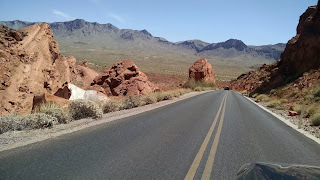 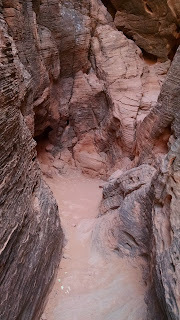 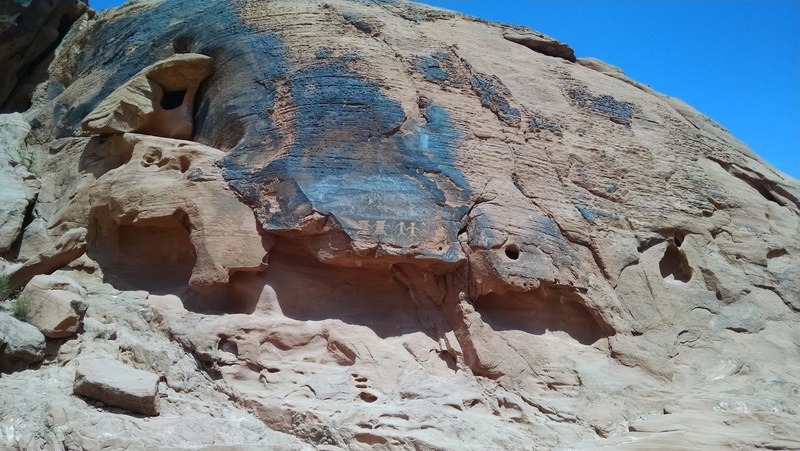 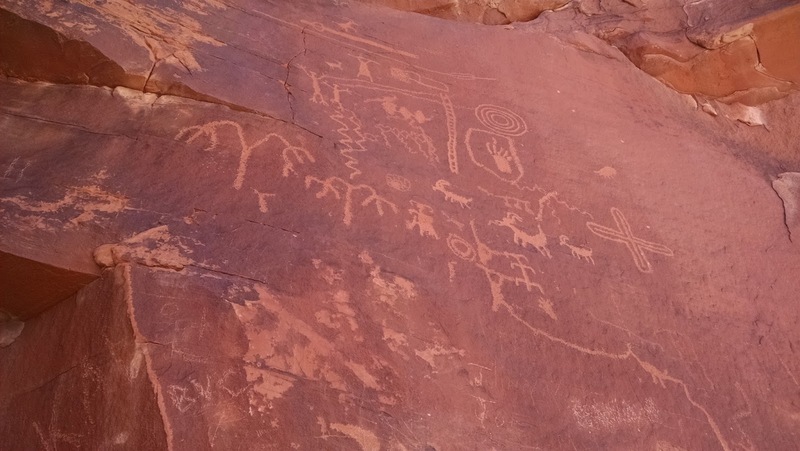 Valley of Fire, is located about 20 minutes off of I-15. There is an exit that is clearly identified next to a Chevron gas station. You basically take the road east and pay your $10 at the gate and you are in. 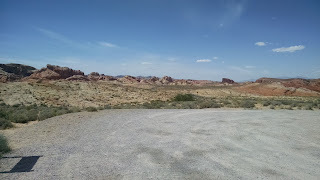 Keep in mind, there are no gas stations nearby and water sources appear to be somewhat limited. Keep in mind there isn't a lot of shelter or shade here, so if the temperature is hot you will suffer. The best time to visit is fall through spring. 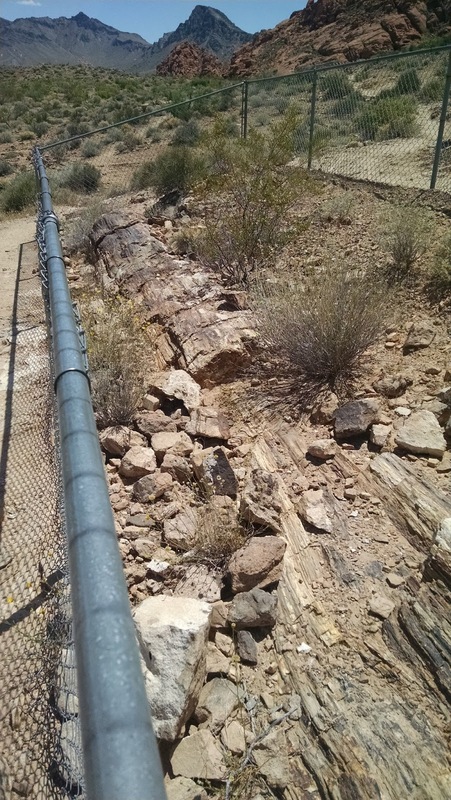 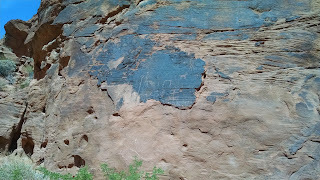 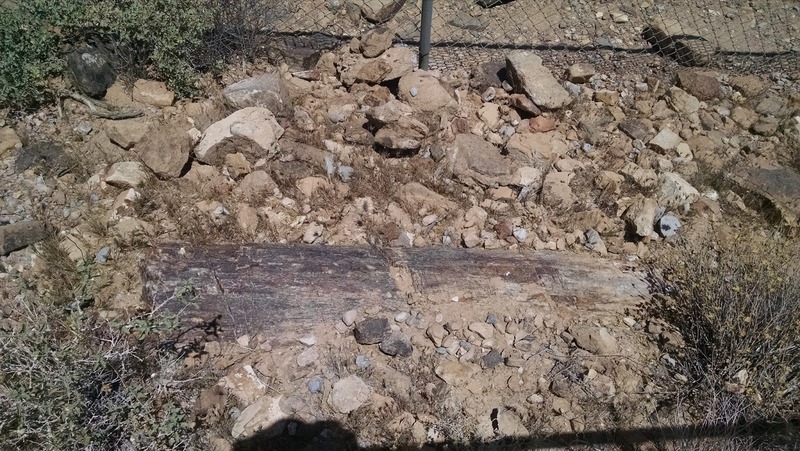 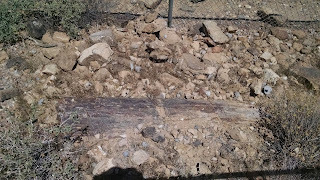 This trip I wound up seeing some of the petrified logs, some petroglphys and re-hiked Mouse's Tank Trail. 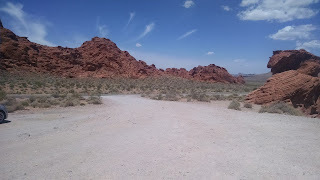 I wound up spending a few hours here and even though it was a Tuesday, there were a fair amount of people here. 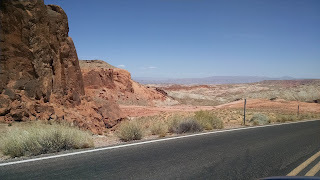 This is definitely worth the stop and it has so many enjoyable and unique things to see. 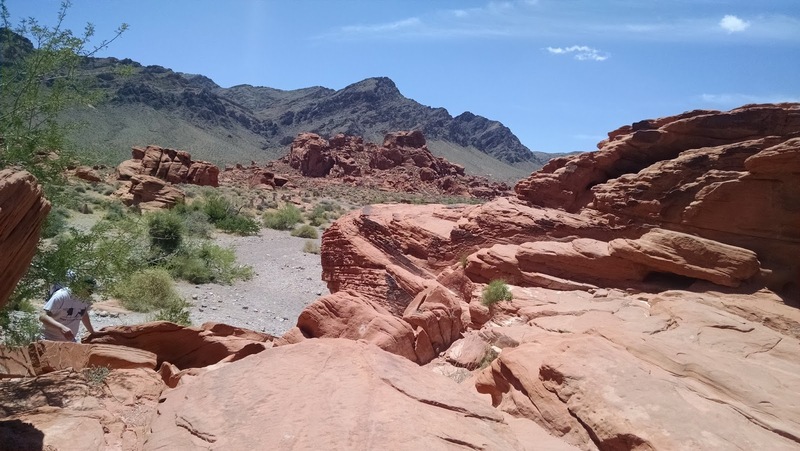 Who would've guessed this exists just a short distance from Lake Mead and the I-15 freeway? Climbing some of the rocks at the"Beehives"